If you’re done chilling out, maxing, relaxing at home, head to Ol’ School’s new Sunday sesh, Gold School, launching this weekend. 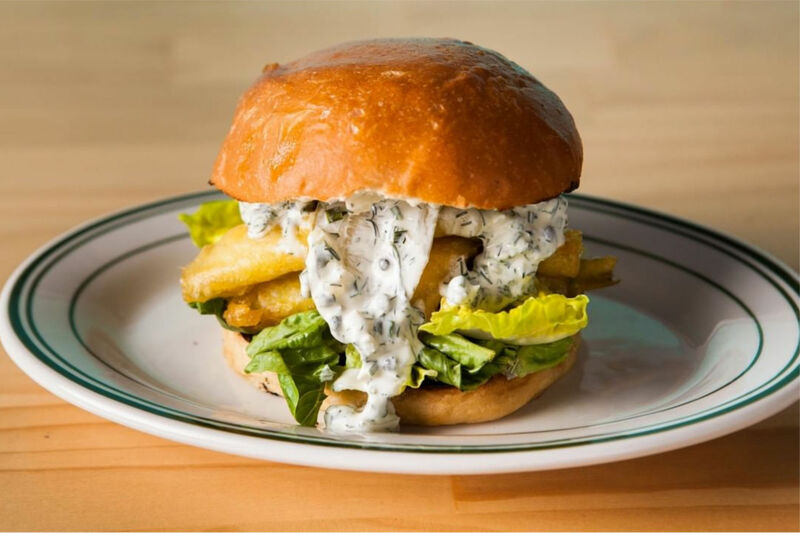 It’s the new-school fish and chips you know and love with a few ‘90s twists, and ‘90s prices to match! As well as their usual much-loved menu items like fish finger sandwiches, corn and coconut fritters, and unreal potato *scallops*, Sundays at Gold School will see a few fresh menu items introduced, like shaker fries and (drumroll please) an Ice Magic ice cream special! The ‘90s niceties don’t end on the food front, with drinks specials from 3-6, and sippable throwbacks like classic cans and cocktails like gin + juices to keep things laid back. Make it a Full House from 12-3 during Gold School’s Family Hour, featuring kid’s meals to keep everyone happy. Ditch your 21st century distractions (iPhones, we’re looking at you) and while away the afternoon with classic time-wasters like Snake Rewind, handball, and marbles! Put the Atari down, grab your rug rats, and jump-rope down to Gold School for their launch this Sunday! - the gourmand who loves potato whether it's a scallop, cake, or fritter.